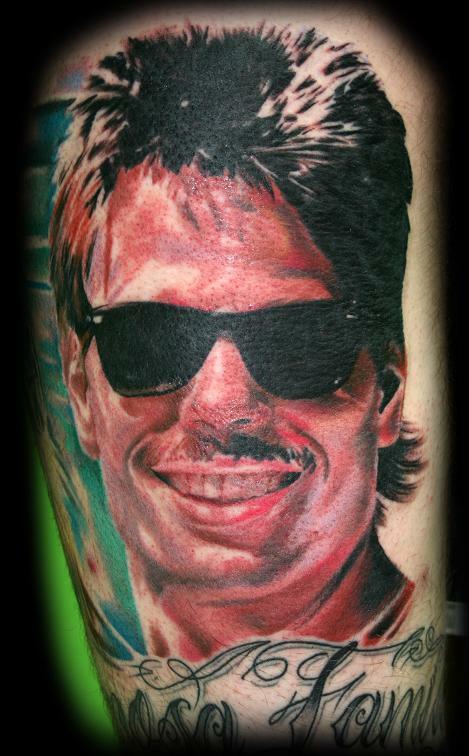 Comments: This was a second portrait added to my Piercer Tyler's Leg. The photo does no justice to how huge this piece is. About 4 1/2 hours so far, we still have some work left of course.